You could almost feel the change in the air as parents across Holmes County breathed a sigh of relief and possibly shed a couple of tears as they've sent their little (and not-so-little) ones back into the school-day routines this month. And with those sighs, Holmes County teachers closed their eyes, took a deep breath, and asked for patience, wisdom and a little bit of help. Now I'm not professing our office has a limitless supply of patience or wisdom (like anywhere else, some days are better than others), but I am saying we're here to help in the classroom. Once again, Holmes SWCD will be offering a variety of in-classroom educational programs at no cost to Holmes County teachers and community groups. Garbage Bag Watershed is one of the new in-classroom educational programs Holmes SWCD will be offering for the 2017-18 school year. 8-4-2-1 for All: Upper elementary through high school students will learn about 8 water users, 4 common water needs, and how 1 river serves them all. Students will play the part of different water users and safely carry their water "downstream" while navigating 4 simulated water management challenges to reach the next community of water users on the same "river." Ask the Bugs: Benthic bugs (posing as paperclips, buttons & beads) provide clues to assess stream health. Elementary students conduct a simulated bio assessment of a stream by sampling aquatic macro invertebrates (represented by ordinary materials). By learning the process by which macro invertebrates are assessed, results are recorded & Pollution Tolerance Indexes are determined. Feeding the World: How can we feed 9 billion people? What are the limits to food production? Middle & high school social studies students will examine factors limiting population growth the the impact agriculture has on population trends and vice versa. Garbage Bag Watershed: We all live in a watershed where pollution originates from many different sources. Non-point source can be big contributors, and the combined effects of pollution from many small sources can have a huge impact on water quality. 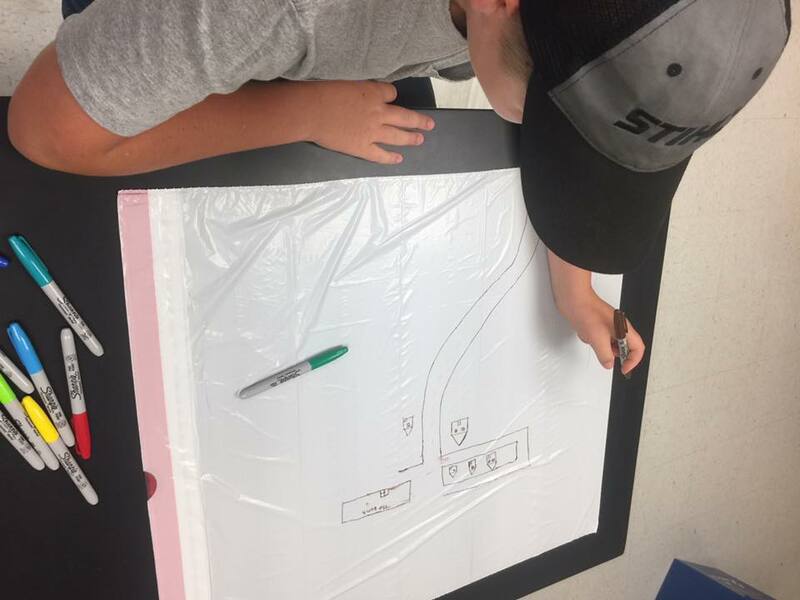 Students will design and build their own watershed and learn more about pollution sources. This activity can be adapted to almost any grade level. Just Passing Through: Students learn about contributing factors to erosion and different techniques to manage erosion. Students can then release some pent-up energy as they role-play becoming raindrops, plant life, and rocks in and around streams and waterways. Poison Pump: A killer has swept through the streets of London, and hundreds are dead! Could the accomplice to this crime be something that is used everyday? Through a series of clues, middle & high school students will love a mystery to discover that water can also produce negative effects for people. Students will learn about the cholera outbreak in London. 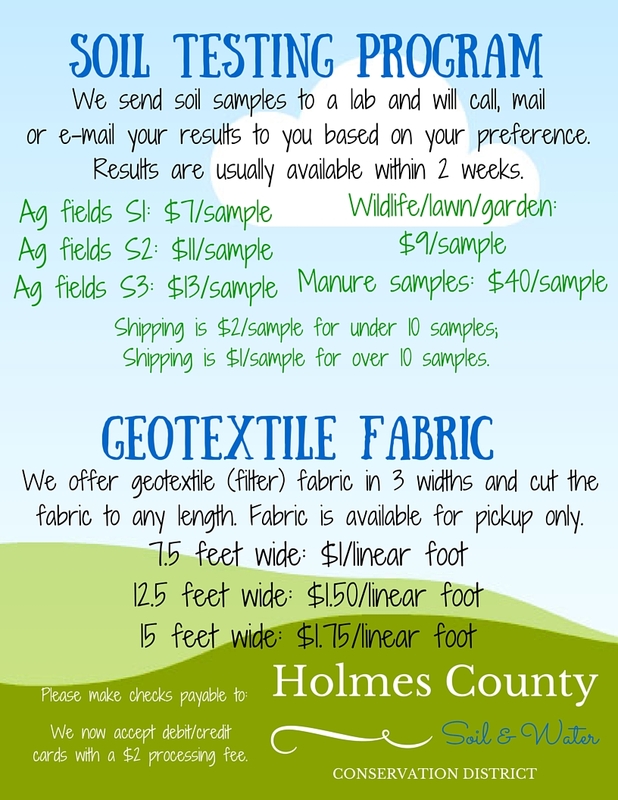 Soil Sustainability Sleuths: Students will conduct a variety of hands-on soil tests, including a slake test to determine soil stability, a soil texture test to determine soil components, as well as nutrient content and pH testing. What's In My Water? Older elementary through high school students will create their own “stream” right in the classroom! They will then conduct biotic sampling and identify macro invertebrates, perform chemical analysis of water samples, complete a biodiversity index, and reach a conclusion on their stream’s quality. We are so excited to get these programs out and about in classrooms across the county! Be sure to share these with your favorite teacher or community group and let us get them on their schedule for this school year! Don't see one of your favorite classroom presentations from years past? Check out our lending library to see if we have those materials available for you to check out and use on your own!